The beauty of Spanish Revival design is in simple, clean lines that draw out elegance and an appeal marked by a contrast of colors. Two new homes in Marceline convey this timeless style with customized luxury, in a warm family escape. Capri. "This home is like a jewel box," Don Hempel of Issa Homes tells us. "We've been able to offer the important elements of quality in a Golden Oak home in just over 3,000 square feet." Hempel notes that the one-and-a-half story great room offers an open feel with lots of light while the 3-way split floorplan offers privacy for each of the bedrooms. The home also showcases a nature preserve view. A favorite feature is the detached guest suite, which is connected to the main house by a covered porch. 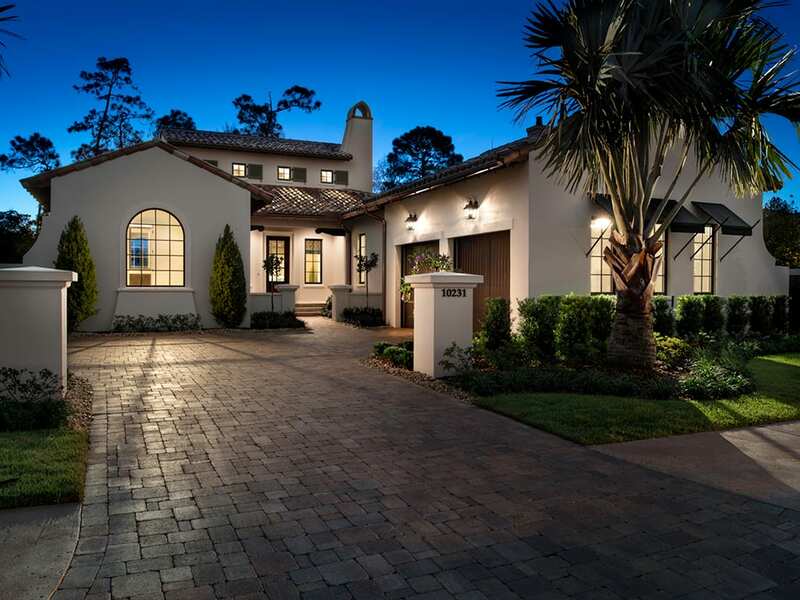 Palms line either side of the driveway, creating a courtyard atmosphere reminiscent of a stately European residence. The unique outdoor living area with a summer kitchen, pool and spa round out the home's sophisticated appeal. Carmina. This residence is designed for fond memories with its comfortable living spaces and open floorplan. A special feature of this property is the abundant views. 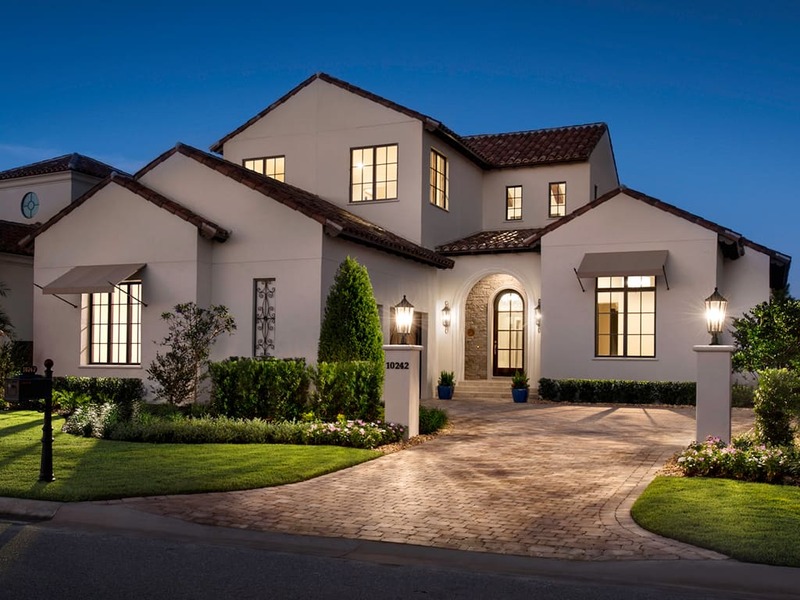 "When you enter Carmina, you walk into a 2-story entry and have a sight line out to the pool," Bo Morgan of Goehring & Morgan Construction, Inc. says. "We create everything with a keen focus on where the eye is drawn." Because the front and rear elevations are both visible from the street, this home has a uniquely beautiful façade from every angle. Inside is just as delightful with a 2-story great room that includes custom-designed ceiling beams and a Romeo and Juliet balconette that looks down onto the living space. The design of the pool, courtyard and 2 separate covered porches offer the ideal environment in which to entertain. For more details about all of the available homes in Marceline, we invite you to explore the Home Availability section of our website.